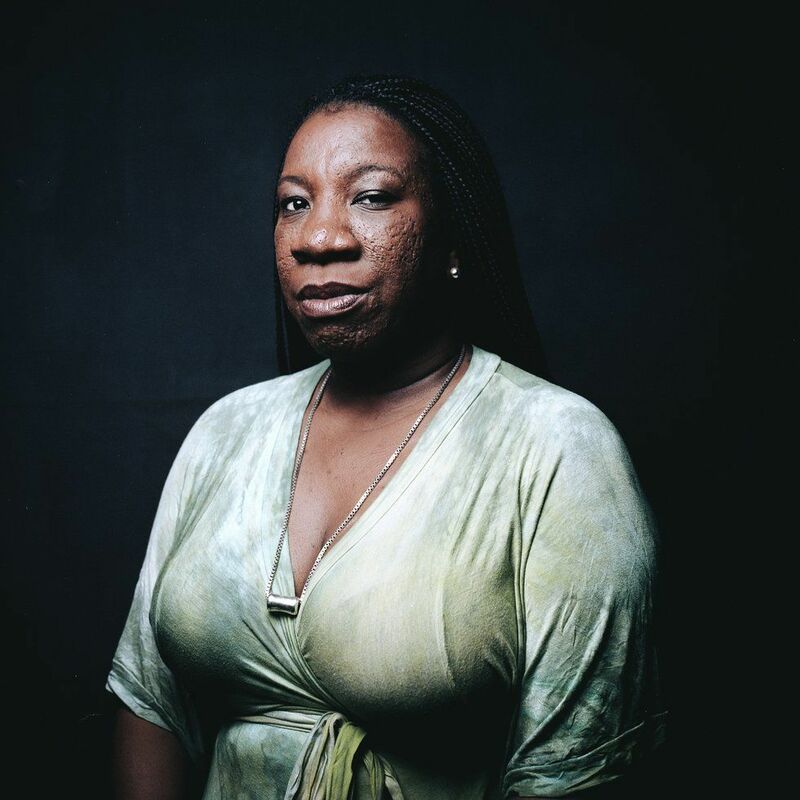 Activist Tarana Burke was probably the most shocked to see that a movement she started in 2006 had gone viral last year when actress Alyssa Milano tweeted out #MeToo as a hashtag, in light of the explosive sexual abuse allegations levied against disgraced producer Harvey Weinstein. The shock wasn't about the movement being co-opted, but in wondering what would possibly happen next. How does a movement live beyond its hashtag? When sexual assault survivors are thrust into the public spotlight, it can re-open old wounds, and prove to be an experience that places them back in their original trauma. But Burke connected with Milano and saw an opportunity for the Me Too movement, which has always been grassroots and intersectional at its core, to include still more voices. The hashtag #MeToo became the seeds for a much more widespread revolution that sprung forward, inspiring many people to come forward, and in some cases has led to justice (the cases of former Olympic gymnastics doctor Larry Nassar, and comedian Bill Cosby). Time's Up, a sister organization that formed in light of Me Too's reckoning, has brought together top Hollywood actresses, directors and producers, launched earlier this year and includes a multi-million-dollar legal fund for survivors. For people like Burke, while these changes signal progress in the right direction, it also means there is still more work to be done. (See: the circus surrounding the testimony of Christine Blasey Ford.) Part of that work involves Burke making herself more visible, despite the risk in doing so—she tells PAPER she has experienced regular death threats. 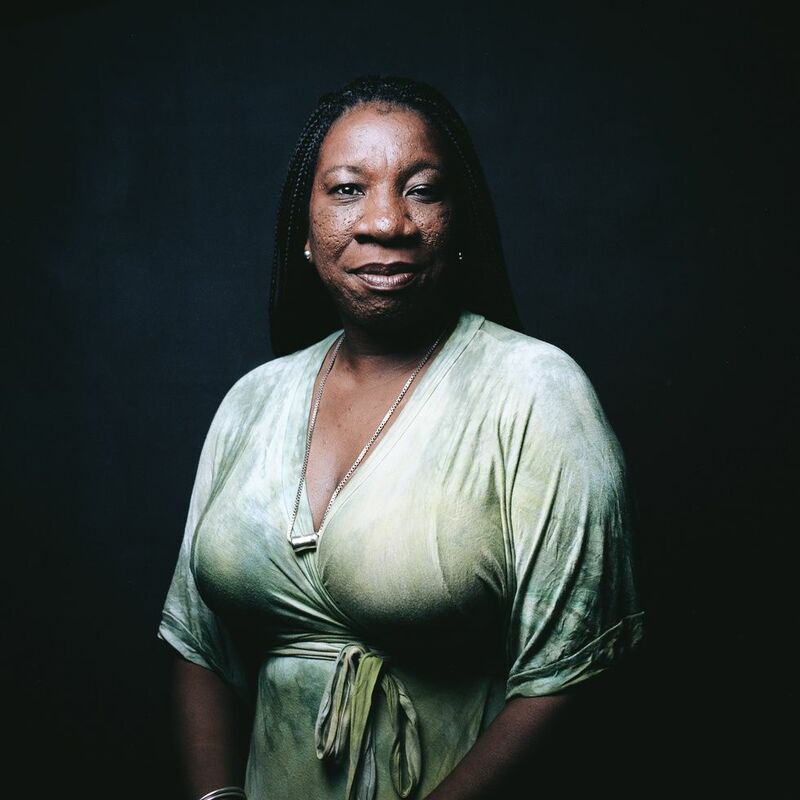 As one of several collaborations Burke has dedicated her time to this year, she is teaming with civil-rights nonprofit Color Of Change and visual influencer platform Paper Monday, for a portrait and multimedia series called Storytellers. The aim of the Storytellers project is to "elevate the experiences and work of those leading the revolution of authentic storytelling about Black people through art and activism," and in addition to Burke, includes the moving stories of other visionaries across age and identity categories. Others featured in the project range from renowned film producer Stephanie Allain to art-world scions Kimberly Drew and Tyler Mitchell, and many more. In Burke's story, shared exclusively with PAPER, she discusses her early roots as an activist, her love of history, and the importance of Black people refusing to relinquish their power. "I'm excited to share the history because I come from a tradition of elders and from a community of people that really made me who I am," she says. Read on for PAPER's interview with Burke, see photos throughout and hear her Storytellers excerpt, produced by Color Of Change and Paper Monday, below. How are you feeling one year after the Hollywood breakthrough of Me Too since it became a hashtag and went viral? I feel like the last year has been probably one of the strongest we've seen in the movement around people doing work in sexual violence, but has also been the most challenging because it's a gift and a curse. Most people who are working toward a larger goal for humanity if you will, look for ways and opportunities to have mainstream conversations about it and engage people about it, and we've had that chance in the last year. But it has been backed with this extreme backlash and this narrative that's not useful with this work we're doing around it being a witch hunt—basically, just watching the idea of Me Too become weaponized has been a challenge. How do you think we can move through that as a society? I think journalists can talk about it differently, despite how popular figures like the president or certain celebrities characterize the movement. The media could come to everyday people who are actually saying "me too," and talking to the people committed to doing the work to end sexual violence and supporting survivors. There are a lot of other voices who aren't centered in the conversation about Me Too and so, it's just always about what some celebrity or politician is saying and we're always needing to defend against them rather than holding them accountable. It would be great for the media to do that, because they have unlimited resources not necessarily when it comes to money, but when it comes to words and influence and the ability to reach so many people. There is so much to unpack when it comes to sexual violence, and there's a whole spectrum of what that looks like, and yet, so much of the media's focus is often around sexual harassment in the workplace. There are people who said "me too" who were talking about surviving child sexual abuse, or being assaulted by a partner, or on a college campus, or in a church. People talking about dealing with indignities and injustices that become so conditioned that it's second nature for the survivor. There's just a lot to talk about, investigate and unpack. I'm amazed that millions of people could volunteer information about being impacted by sexual violence, we're talking about people ready to speak out, and news outlets will not approach them unless they have a platform. Really? "Christine Blasey Ford was working against so many odds and still managed to get there. So I still feel like the victory is actually in her favor for going there and standing up." I think that it points to the idea of a credible victim, too. Who is that person and what does it look like? We saw this come alive in the Senate hearings of Dr. Christine Blasey Ford and Judge Brett Kavanaugh. And she's a wealthy white woman with privilege, but still had to prove herself to go up against this man. What about those who aren't her, who don't even get that far? Right, well the flip side of that is this: her coming forward was not in vain. It is hard to watch someone like her come forward and be so credible, so moving, and still not get the end result. But we have to remember that at the point she was allowed to come into the conversation and all the things around it, she was working against so many odds and still managed to get there. So I still feel like the victory is actually in her favor for going there and standing up. Even though the Senate still confirmed him, I'm willing to bet that a part of her feels completely moved by the outpouring of love, and of survivors around the world saying "We believe you. Your story resonates deeply with me. This happened to me. Me too." There's something else at play besides just trying to keep this person from being confirmed. There's also the need for survivors to see other people like them represented. It's the same thing we say about being black women in the media, or seeing people of color in the media, or queer people in the media—it's something about seeing yourself in a public figure being courageous that is so valuable. I'm not trying to not acknowledge that there's a lot of hurt and a lot of pain in his being confirmed anyway, but as the dust settles, we realize that we found a hero in Christine Blasey Ford. What are some of the most illuminating things that you've learned over the past year? What are some things that you've learned that have helped strengthen what you're doing as an activist? I think one of the things I don't get to talk about much is how much collaboration I've been involved in this year. A lot of times, folks will single out the most popular name or person involved, but they don't realize how many other people are involved with that work as well. There's nothing I've done this year that hasn't been in collaboration of some sort with other people, and it's been people who I've long admired, people who I deeply respect, and people who, even though we know each other, we haven't traditionally worked across issue lines, and we found a lot of common ground and a lot of space to do that, and it's been super rewarding. I just believe in the power of collaboration and community in general, but a lot of times people say that and we don't really get a chance to say, "Oh, we should do this more," or, "It would've been great if we could have..." and I have seen a high level of collaboration and cooperation among [nonprofits]. Nonprofits are still companies for the most part, and there's still competition and that kind of thing, and I see such a different reality around that. So that's been a big thing this year. Also, being thrust into the national spotlight makes you take stock in who you are, like what are you actually made of, because some people, both literally and figuratively, will try to kill you. I've had death threats and threats of bodily harm, and just all kinds of crazy stuff that I've just been like, really? You know, there's so many nuts out here. But also, just being challenged in so many kinds of ways, you certainly test your metal. I've also learned that there's a deep, deep, deep divide between survivors of sexual violence and those who are not. And there's a dearth of understanding about the life-cycle of a survivor, that people have so accepted these misunderstandings to the point where cases like Blasey Ford or even Anita Hill could happen, because we so expected the stereotypes and the misconceptions we have about what it is to survive sexual violence. So watching this, people think it's actually true. Like, "Oh well, you know, she should've just got up and went to the police and reported it. Hello! What's wrong with her?" There's so many things like that. Oh God, it's awful. The blame for these instances still falls on the victim, who then has to "prove themselves" for the world to see. First of all, it's a self-fulfilling prophecy, you are sitting here blaming a person for not coming forward and making them feel bad and inadequate, but yet you want them to come forward? What do you think? There's always a reason. If you come forward right away, you're a liar. There are all the people who question you: Are you sure? What did you wear? What did you do? There's a whole army of voices who try and make you complicit in whatever horrible thing happened to you, and if you wait because you don't want to deal with that and then somehow find the courage later on, it's like, Well, you should've said something earlier! You can't win. I think I was naive about this, like we've all been watching Law and Order: SVU for twenty years, and ya'll haven't learned anything? Still? After all of this? 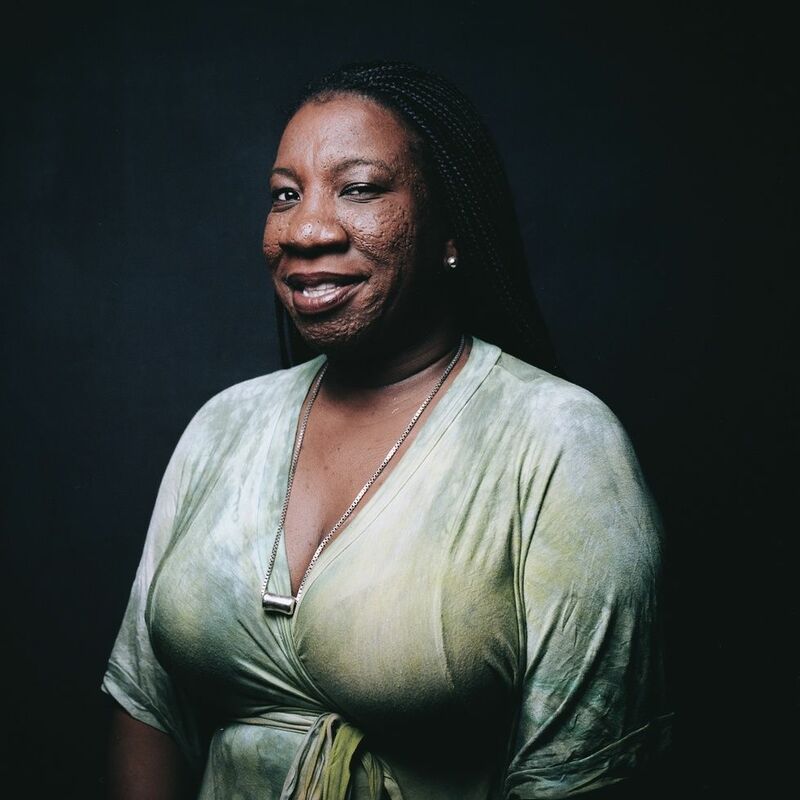 "I'm amazed that millions of people could volunteer information about being impacted by sexual violence, we're talking about people ready to speak out, and news outlets will not approach them unless they have a platform. Really?" Are you able to say what organizations or people you've been collaborating with over the past year? Absolutely. Girls for Gender Equity is the organization I came out of. I worked at GGE when Me Too went viral, and we continue to work together and partner, that's where Me Too was essentially housed. And Joanne Smith, who is a director, is just invaluable in terms of a strategy and thought partner. But also on a national level, at the National Women's Law Center, [I've been working with NWLC president and CEO] Fatima Goss Graves, who is just a real example of humility and leadership. Ai-jen Poo, from the National Domestic Workers Alliance, and Mónica Ramírez [co-founder and president] of Alianza [Nacional de Campesinas], the migrant farm workers' alliance organization. So she's the one who wrote the letter to Hollywood that resulted in Time's Up. That's our little crew! But we have made progress. You could not have had this kind of public discourse with this many people saying that they believe us—we literally have an example in Anita Hill. We don't even have to guess what it would've been like or could've been like or what people would've said 20 years ago, we saw it. People are talking a lot about the fury of American women, though we've seen more and more men come forward in support, with examples like the 1600 men petition. But what you've brought to light is the idea that this movement actually needs everyone. That survivors are not just one thing, or one type of person. They could be any of us. Absolutely, yes. But the idea that this is primarily for women, is another part of this dangerous narrative I think. I get it, I get why it's inflated, because we are talking about the year of the Women's March, women are being affronted by our president, and there's so many things happening that are specific to women, but Me Too is not specific to women. It's a survivor's movement and I say that all the time, because I have to underscore that. Do you know that some of the most heart-wrenching letters I get, are from men who feel left out? Men who are survivors. This man actually checked me on Facebook the other day, and I appreciated it, because we have so many trolls that I came at him real snarky, and he made a very good point which is, you're one voice in a sea of voices, and what I see on the news is women, what I hear in the papers and the media is women, women, women, and I'm trying to understand why men and boys aren't inside of that narrative. So what happens is people say, "Oh yeah, boys too," and kind of just brush it off, "Oh yeah, I know it happens to men," so that's what I'm saying. We need to really examine the whole spectrum of sexual violence because we say one in four girls and one in six boys, it kind of rolls off people's tongue, that's the statistic that everybody knows, but think about that. Think about an auditorium full of boys and count off every sixth boy. That's a lot of children. And those boys grow up to be men. And then there's also people who don't identify as men or women. So there's a whole spectrum of people who get left out when we only focus on women. I don't want to belabor the point, but I think it's an important one. And we are always out in the front, so that's the other reason it's hard not to focus on women sometimes, because we're the ones in the streets and we're marching, and we're rallying, and we're organizing and whatnot. I had the opportunity to clarify and I just want to do that. I'm three generations in the Bronx. My grandfather came from St. Kitts to the Bronx and my grandmother came from South Carolina to the Bronx - both as little children. The Bronx is part of my family's identity. I grew up in what they call the south Bronx which is really the west Bronx, around Jerome avenue. I also grew up right at the dawn of Hip-Hop becoming more mainstream. Seeing people like Slick Rick and Dougie Fresh and growing up as a teenager, Hip-Hop in the 90s was a big part of my life. Public Enemy coming out was the marriage of what I loved, which was Hip Hop, being from New York, but also social justice. I was always moved by thinking early on about Hip-Hop as an organizing tool particularly Public Enemy, Poor Righteous Teachers or even Tribe in the ways they told stories and presented an alternative for Blackness. I come from a family that was very Black. I couldn't wear combinations of red, white and blue. My grandfather would pick me up on the weekends and we would drive to 125th street to Harlem Music Hut, where you could get all your mixtapes from, but they also had cassette tapes of elder scholars like John Henry Clark or Dr. Ben Joseph. And we would drive around listening to that. We were Black like that. And when I was in the seventh grade I was in catholic school and my grandfather started telling me about how Catholics had slaves, and started giving me books to read like Roots, then Before the Mayflower and They Came Before Columbus in the seventh grade. I was like 'why are you trying to destroy my life and what I understand to be the way the world works.' I appreciated what he did, but I also wish it had been done differently because then I went through a period of anger. That carried me halfway through high school and then I found a way to take that feeling and make that become work. I joined 21st Century Leadership Movement at 14. It became a way to take all this knowledge and cultural awareness and historical awareness my family gave me, and put that into action. They helped me identify and understand what injustice and justice looked like. I remember in the 6th and 7th grade loving history and American history. I used to know the preamble to the Constitution. I was drawn to the story of America and how we came to be. Even though I knew about slavery and I knew about how we were enslaved, there was still something that was attractive about the American story until my grandfather introduced me to all these different narratives that started peeling away at that. I remember when I recited the preamble to the Constitution to him, he was appalled. That's when he gave me They Came Before Columbus and said 'You need to read this.' And as I was introduced to these different narratives, on my own, I started to understand the complexity of what it is to be American, and what America was. And then the truth, and also the idea that the truth is not just the truth. The truth based on who you are and who's telling it, and how it's been told, and when it's being told, and who it's being told to. I didn't realized that Black people had our own truth of what it was to be American, and what it was to be in America. That understanding made me confused. It made me angry trying to grapple with that. Then I was introduced to this idea that you don't just have to read about oppression, you don't just have to study and look at it and see it and be angry about it, but you can be active. You can be out here. The premise of 21st Century, the organization, was to continue the legacy of the civil rights movement, Black power movement, labor movements, in a new generation. When I was introduced to those narratives, I realized these people were my age. They were in the marches getting hosed. Once I saw that, I realized that we shape history. Our truth has always been weaponized against us. The way to push back against these other false narratives is to weaponize it for us. It's also what I'm dealing with now around the #MeToo movement. People keep saying 'oh the white people have taken it from you, the white people are co-oping, the #MeToo movement is not for us, it's for white people.' Here's a thing that you know is true. You have a person here who founded or started doing this work. How can it also then be true that it's not for us? And so I'll continue to hold it up and say this is for us. This is true this is for us. Non Black people are going to do whatever they want to do, it doesn't matter. We stay so focused on what they're doing as opposed to what the power we have that we just give our power over. If we teach our children and teach each other to stop relinquishing our power -- it is what we say it is. This is powerful because I said it's powerful and it doesn't matter what somebody else is saying.